One of my passions is reading. I love to read everything and anything. There is nothing more relaxing than reading a good book, in the rain, with a cup of hot tea/cocoa/coffee. I've recently also discovered the magic of audiobooks where the books are read by amazing voice actors! It's a great way to maximize the time in the car listening to a riveting story with or without your children! At Richmond Street School, we are working hard to cultivate a love of reading and for students to read widely and deeply across all subject areas. We are lucky to have teachers who believe in this vision and share in the love of reading to and with our students. We have a literacy specialist organizes reading events throughout the year. 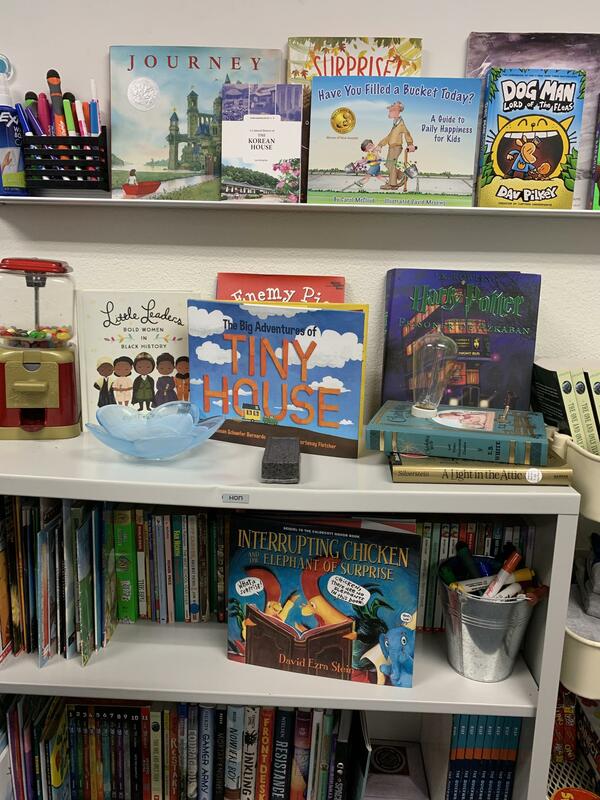 We have a PTA who has partnered with us in providing funding for books and training so that Richmond Street School can continue to grow our culture of literacy. eGundo partnered with Richmond Street School in creating a docushort on the literacy culture at our school. Thank you to our WONDERFUL PTA and all our teachers who have run with this vision of literacy empowerment for our students. Enjoy!